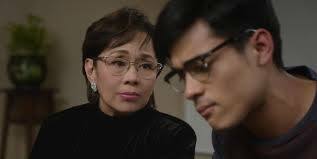 Everything About Her is a 2016 Filipino comedy-drama film directed by Joyce E. Bernal, starring Vilma Santos, Xian Lim , and Ms. Angel Locsin. It was released on 27 January 2016 under Star Cinema. The film earned ₱15 million on its first day of release. The film serves as a comeback film for "Star of All Seasons" Vilma Santos-Recto after her last film in 2013, Ekstra: The Bit Player. As of 20 February 2016 the film has earned ₱200 million The film received generally positive reviews from film critics.